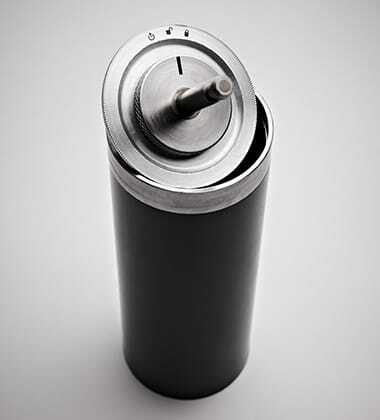 The device is equipped with safe containers in the form of tubes for special keys. A tube allows to deposit keys of up to 20 cm in length and protects the key profile. The system checks, whether the tube returned to the deposit safe is empty or with a certain contents. It is possible thanks to the electronic ring to which the keys are attached. 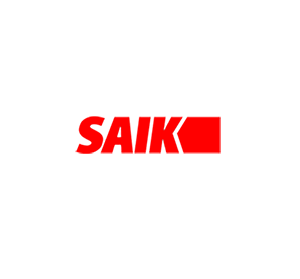 SAIK TUBE devices are similar to the devices of SAIK BOXinBOX type as regards their function. The SAIK Deposit safe collects information on all events related to the contents being stored in it. Each single act of collecting and returning keys and other items as well as other normal and warning events are permanently recorded in the system and available for examination. The robust, steel structure of deposit safes will discourage against any attempts of theft, and electronic systems monitoring the operation of the device guarantee increased security, even in rooms without supervision. Users appreciate work with SAIK deposit safes because of the shortened time necessary to collect a key and always up-to-date information as to where a certain key is in a given moment of time and who has collected it. A big and resistant 7 or 10-inch touch-sensitive display provides comfort of work. A built-in loudspeaker provides voice guidance, thanks to which a deposit safe user knows at every stage of the procedure what to do next. Quite helpful, particularly at the introductory stage of the operation of the system. Possibility to use any proximity card reader or biometric reader. If the card system has already been in operation in the organization, then deposit safes will be equipped with a relevant card reader. Devices allow access to stored keys and items only to persons with relevant authorization granted by the system administrator. Other keys and safe deposit boxes are blocked and any attempt to take them will activate an alarm and will be recorded in the system. Possibility to collect and return a specific key can be assigned to a number of employees. The system will always record which authorized person has used a given key. Authorization to keys or safe deposit boxes can be granted for flexible periods of time, for example from 8 to 16 on working days, or only on Thursdays from 11 to 13. These periods can be adjusted in the software. A module with a breathalyzer can be installed with every device. Before collecting a key or opening a safe deposit box each employee will have to use it – the sobriety test result or a refusal to take a sobriety test will be recorded in the system. A breathalyzer in the deposit safe minimizes the risk of taking the vehicle keys by persons under the influence of alcohol, at the same time reducing the costs – a single breathalyzer is sufficient for the whole fleet of company vehicles. Each device is equipped with a built-in emergency power system making it possible for the device to operate for at least 24 hours without regular power supply. If necessary, this time can be extended even up to 3 days. A built-in alarm is activated in emergency situations. Each device can be manufactured in compliance with requirements set forth in RC2 class, providing increased break-in resistance. The RC2 Class is guaranteed by the Instytut Mechaniki Precyzyjnej in Warszawa. Possibility of expanding the unit with other deposit safes or additional modules operating under control of existing devices. Advanced, though intuitive tool used to configure main deposit safe options, adjusting the system to the user’s own needs. It also allows to grant authorizations. Makes it possible to review the history of events and filtering them according to key/safe deposit box, time, employee. To be installed in the security guard/porter computer, gives the person in charge of security the continual insight into the condition of equipment and a possibility of an instant intervention in emergency situation. Unlimited, multi-station and friendly desktop software. After the purchase of a deposit safe, it will always be functioning without a necessity to bear any additional costs. All events related to deposit safes are permanently recorded in the database. The system automatically performs data backup. Possibility to connect to various external access control systems, SSWiN and fire systems. Possibility to read employee databases. Possibility to use a so-called „key lock” – leaving the premises is not possible if the key has not been returned – the employee will be stopped by an element of access control, gate, barrier, etc. Added in the standard offer, possibility of using the whole system with the help of Internet browser. Built-in software for working time recording, operated from the level of the touch-sensitive display. Deposit safes communicate with the users in their language: in Polish, English, German, French or Spanish. Other language versions available upon request. In the standard of each installation, training is provided for the system administrators, thanks to which the assets of the system can be used in full. Service in the whole country. Guarantee of quality and proper operation of the system.